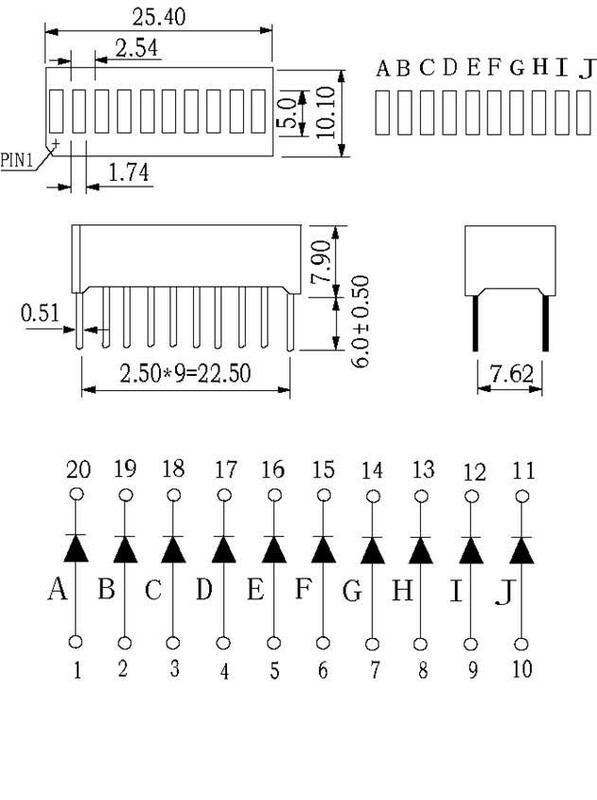 This is a segment LED bar without control chip. It has 10 segment LEDs, including of 8 green, 1 yellow and 1 red. It is compatible with bread board and can work with Arduino by adding some current limiting resistors. Since it has 10 pin, it may be complex to control. If you would like a modular segment LED bar, see the Grove - LED Bar. This is a segment LED bar without control chip. It has 10 segment LEDs, including of 8 green, 1 yellow and 1 red. It is compatible with bread board and can work with Arduino by adding some current limiting resistors.